There's a reason why the main characters of Yakuza 0 will eventually be known as the "Dragon of Dojima" and "Mad Dog of Shimano," and it probably has something to do with the way they talk with their fists. While the streets of Kamurocho and Sotenbori are alive with plenty of nightlife to indulge in, it's also teeming with lowlifes and rivals to "deal with." This time around, Kiryu and Majima each have three unique fighting styles that can be used to beat down enemies with extreme prejudice. Players can also invest in various abilities to ensure that Kiryu and Majima are the meanest business men to walk the streets! Kiryu's Brawler is a well-balanced mix of light and heavy attacks that is perfect for any situation. Want to float like a butterfly, sting like a bee? The rapid-fire Rush is the perfect style to flurry enemies into unconsciousness. If raw strength is what you're looking for, Beast is all you need. Kiryu will even automatically pick up environmental weapons (like bikes and signs) to use as bashing tools! Not to be outdone, Majima's balanced Thug puts great emphasis on bone shattering takedowns, throws, and counter attacks. Want to bring a bat to a fist fight? Say no more fam. Make every fight a real home run with Slugger style! Oh wait, you feel like breakdance fighting? 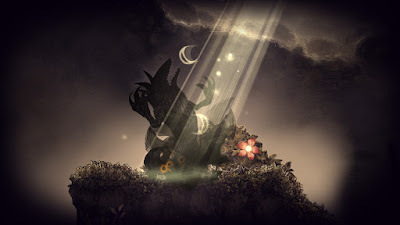 Breaker will both put on a dazzling show and serve up a hot plate of pain for hapless enemies. If you're in a rush and can't be bothered to fight every single person that steps up, just make it rain with some cash to get them to immediately stop in their tracks to collect. But watch out! "Mr. Shakedown" can appear out of nowhere and take all your money if you're not careful. 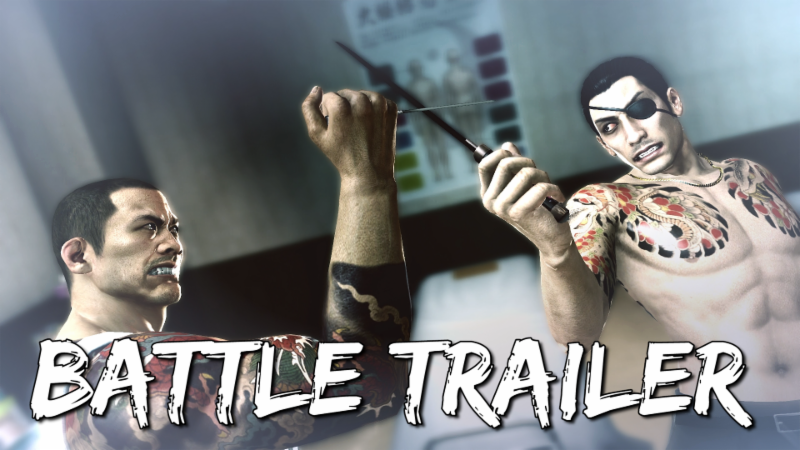 Learn more about all the cool new features in Yakuza 0's combat system in the new trailer below! 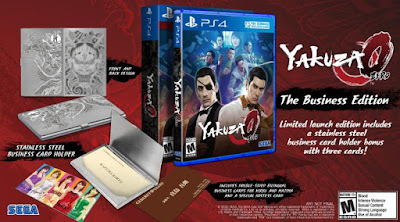 The Dragon's Origins: What lies in a man's past defines his future, and in this case, we learn a lot about what inspires Kiryu down the paths he takes in the rest of the Yakuza series. Plus, you don't get to be called "Dragon" without being able to knock a few heads. Combat styles can be hot-swapped during fights for some of the most intense battles in the Yakuza series to date. Embrace the Mad Dog: For the first time in a numbered game, long-time NPC Goro Majima is now playable. With his own fighting style, abilities, and his penchant for turning sleaze into profit, stepping into the role of Yakuza's most eccentric character will provide some eye-opening insight. Yakuza 0 is being localized by SEGA of America, Inc. and will be released physically and digitally in the Americas and Europe beginning Jan. 24, 2017. The game will be available on PlayStation 4 systems for $59.99.